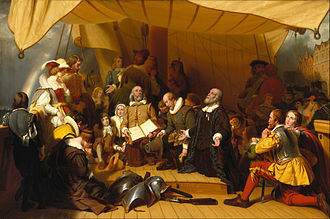 Huguenot rebellions in the 1620s resulted in the abolition of their political and military privileges. 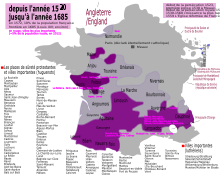 They retained the religious provisions of the Edict of Nantes until the rule of Louis XIV, who gradually increased persecution of Protestantism until he issued the Edict of Fontainebleau (1685). 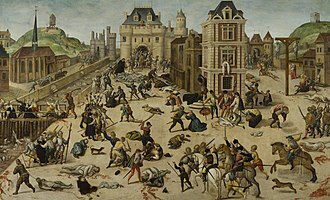 This ended legal recognition of Protestantism in France and the Huguenots were forced either to convert to Catholicism (possibly as Nicodemites) or flee as refugees; they were subject to violent dragonnades. 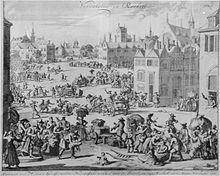 Louis XIV claimed that the French Huguenot population was reduced from about 800,000-900,000 adherents to just 1,000-1,500. 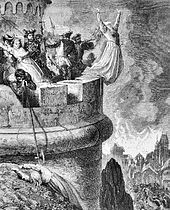 He exaggerated the decline, but the dragonnades were devastating for the French Protestant community. ^ "The National Huguenot Society - Cross of Languedoc". 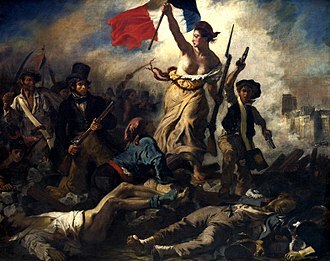 www.huguenot.netnation.com. Retrieved 2018-12-07. 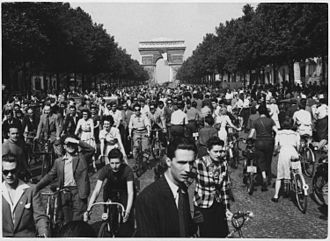 ^ "Chronology – French Church du Saint-Esprit". Retrieved 2019-03-29. 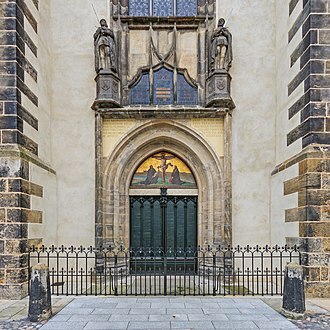 ^ "The Huguenot Chapel (Black Prince's Chantry)". Retrieved 2018-11-28. In Reformed theology, baptism is a sacrament signifying the baptized persons union with Christ, or becoming part of Christ and being treated as if they had done everything Christ had. Sacraments, along with preaching of Gods word, are means of grace through which God offers Christ to people, sacraments are believed to have their effect through the Holy Spirit, but these effects are only believed to be beneficial to those who have faith in Christ. In Reformed theology, baptism is the sacrament of initiation into the visible church, Baptism signifies regeneration and remission of sin. Reformed Christians believe that the children of those who express faith in Christ should be baptized. Because baptism is believed to be only to those who have faith in Christ. Christian baptismal theology prior to the Reformation taught that sacraments, including baptism, are means or instruments through which God communicates grace to people, the sacrament was considered valid regardless of who administered it. Not everyone who received a sacrament, received the grace signified by the sacrament, Baptism was believed to be used by the Holy Spirit to transform the believer, and offered the benefits of remission of sins and the indwelling of the Holy Spirit. The sacrament of penance was believed to be necessary for forgiveness for sins committed after baptism, during the Reformation, Martin Luther rejected many of the Catholic Churchs seven sacraments, but retained baptism and the Lords Supper. 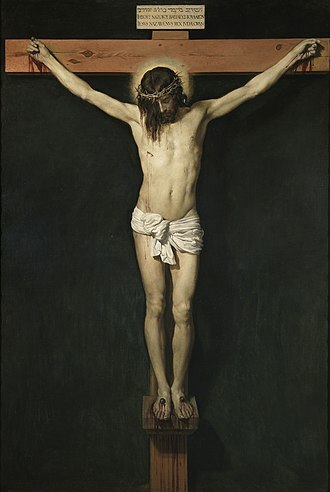 He saw many practices of the church as abuses of power intended to require work in order to merit forgiveness for sin after baptism rather than faith alone. Luther attached the promise of salvation to baptism, and taught that life after baptism should be spent in recollection of it and the dying to sin it signified. Huldrych Zwingli, the earliest theologian considered part of the Reformed tradition, was opposed to worship practices he believed to be based on tradition rather than the Bible. Nevertheless, he disagreed with Anabaptists, who refused to baptize their children on scriptural grounds. 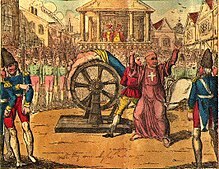 William Farel, Guilhem Farel or Guillaume Farel, was a French evangelist, and a founder of the Reformed Church in the cantons of Neuchâtel, Berne and Vaud in Switzerland. 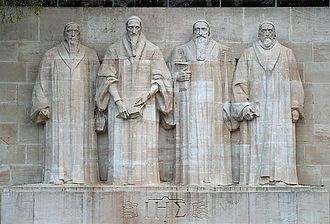 He is most often remembered for having persuaded John Calvin to remain in Geneva in 1536 and they influenced the government of Geneva to the point that it became the Protestant Rome, where Protestants took refuge and non-Protestants were driven out. 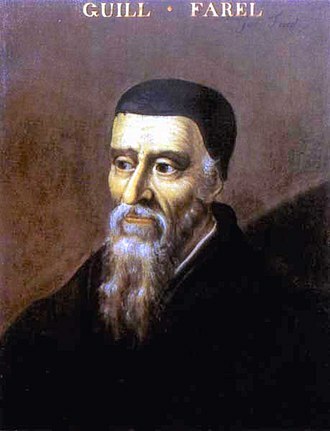 Together with Calvin, Farel worked to train missionary preachers who spread the Protestant cause to other countries, Farel was born in 1489 in Gap. 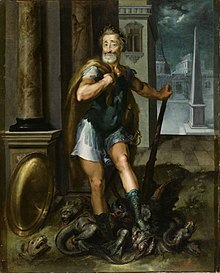 He was a pupil of the pro-reform Catholic priesthood, at the University of Paris, there he met the scholar Jacques Lefevre dEtaples who helped Farel obtain a professorship to teach grammar and philosophy at the Collège Cardinal Lemoine in Paris. 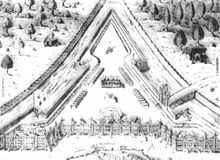 With Lefevre he became a member of the Cercle de Meaux gathered together from 1519 by the bishop of Meaux. 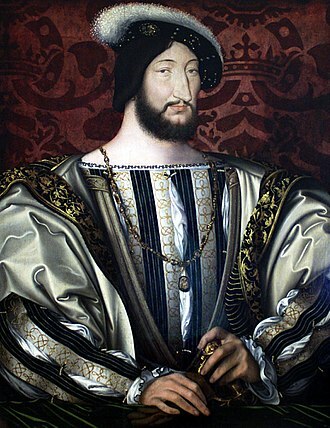 Farel eventually became regent of the college, by 1522 he was appointed a diocesan preacher by the Reformist bishop of Meaux, Guillaume Briçonnet. Heinrich Bullinger was a Swiss reformer, the successor of Huldrych Zwingli as head of the Zurich church and pastor at Grossmünster. Heinrich Bullinger was born to Heinrich Bullinger senior, dean of the capitular church, the bishop of Constance, who had clerical oversight over Aargau, had unofficially sanctioned clerical concubinage, having waived all penalties against the offense in exchange for an annual fee. As such and Anna were able to live as husband and wife. At 12 years of age, Bullinger was sent to the distant, in 1520–21 Bullinger felt that he needed to decide the issues for himself and, having been exposed to Luthers works, began his own reading of Peter Lombards Sentences and the Decretum of Gratian. 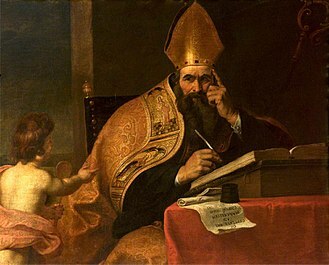 This led him to recognize that both relied on the authority of the Church Fathers, which in turn led him to them, including Chrysostoms and Jeromes commentaries. 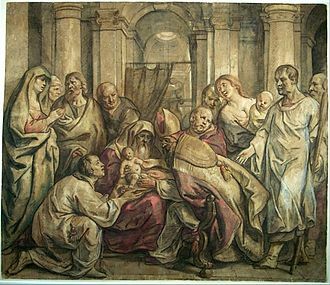 From this reading Bullinger came to conclusion that Lutheran teaching was more faithful to the Church Fathers, in 1522, now a convinced Martinian, Bullinger ceased receiving the Eucharist, giving up his previous intention of entering the Carthusian order and earned his Master of art degree. 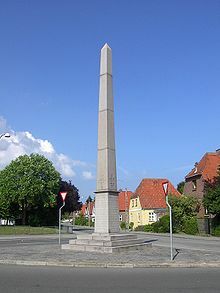 In 1523, he accepted a post as head of the school at Kappel. 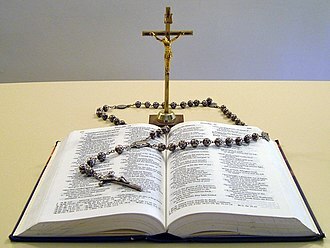 At the school, Bullinger initiated a program of Bible reading. 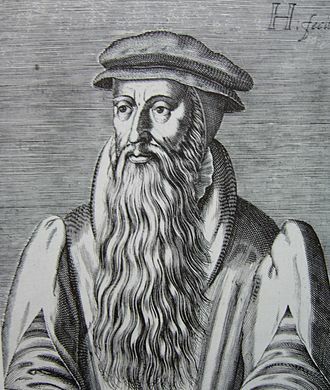 He heard Zwingli and Jud preach several times during Reformation in Zürich, during this period, under the influence of the Waldensians, Bullinger moved to a more symbolic understanding of the Eucharist. 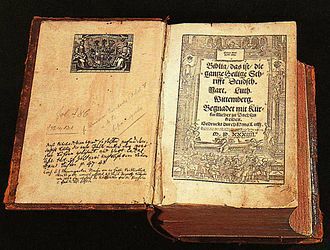 He contacted Zwingli with his thoughts in September 1524, in 1527, he spent five months in Zurich studying ancient languages and regularly attending the Prophezei that Zwingli had set up there. While there, he impressed the Zurich authorities and they sent him with their delegation to the Bern Disputation - there he met Bucer, Blaurer, in 1528, at the urging of the Zurich Synod, he left the Kappel cloister to become a regular parish minister. 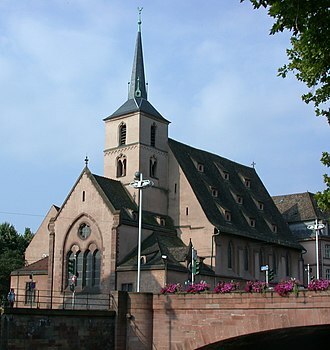 In 1529 Bullingers father announced that he had been preaching false doctrines for years, as a result, his congregation at Bremgarten decided to remove him as their priest. 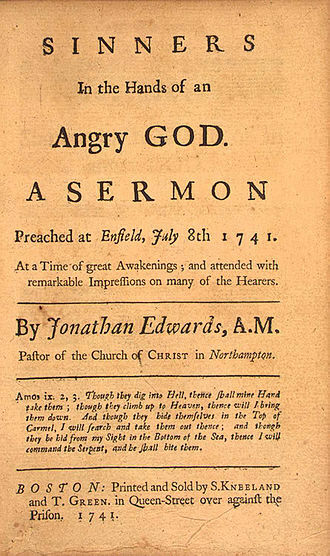 Several candidates were invited to preach sermons as potential replacements, including the young Bullinger and his sermon was so powerful that it led to an immediate burst of iconoclasm in the church, and the congregation spontaneously stripped the images from their church and burned them. Charles Hodge was a Presbyterian theologian and principal of Princeton Theological Seminary between 1851 and 1878. He was an exponent of the Princeton Theology, an orthodox Calvinist theological tradition in America during the 19th century. He argued strongly for the authority of the Bible as the Word of God, many of his ideas were adopted in the 20th century by Fundamentalists and Evangelicals. 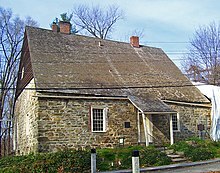 Charles Hodges father, was the son of a Scotsman who emigrated from Northern Ireland early in the eighteenth century, Hugh graduated from Princeton College in 1773 and served as a military surgeon in the Revolutionary War, after which he practiced medicine in Philadelphia. He married well-born Bostonian orphan Mary Blanchard in 1790, the Hodges first three sons died in the Yellow Fever Epidemic of 1793 and another yellow fever epidemic in 1795. Their first son to survive childhood, Hugh Lenox, was born in 1796, Hugh Lenox would become an authority in obstetrics, and he would remain especially close with Charles, often assisting him financially. Charles was born on December 27,1797 and his father died seven months of complications from the yellow fever he had contracted in the epidemic of 1795. They were brought up by relatives, many of whom were wealthy, Mary Hodge made sacrifices and took in boarders in order to put the boys through school. She, with the help of the familys minister Ashbel Green, in 1812, Ashbel Green, the Hodges old minister, became president of the college. At Princeton, the first president of the new seminary, Archibald Alexander, took a special interest in Hodge, assisting him in Greek, Hodge would name his first son after Alexander. 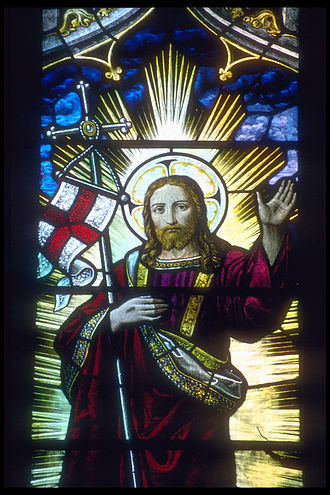 Hodge became close friends with future Episcopalian bishops John Johns and Charles McIlvaine, in 1815, during a time of intense religious fervor among the students encouraged by Green and Alexander, Hodge joined the local Presbyterian church and decided to enter the ministry. 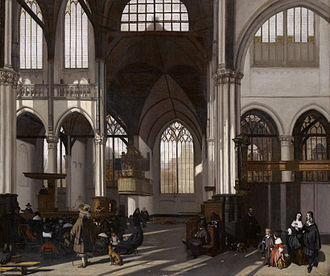 Shortly after completing his studies he entered the seminary in 1816. Professors Alexander and Samuel Miller inculcated an intense piety in their students, following graduation from Princeton Seminary in 1819, Hodge received additional instruction privately from Hebrew scholar Rev. 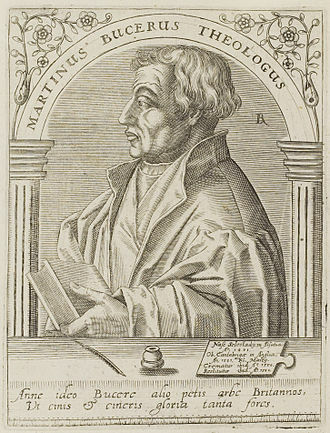 Martin Bucer was a German Protestant reformer based in Strasbourg who influenced Lutheran and Anglican doctrines and practices. Bucer was originally a member of the Dominican Order, but after meeting and being influenced by Martin Luther in 1518 he arranged for his vows to be annulled. 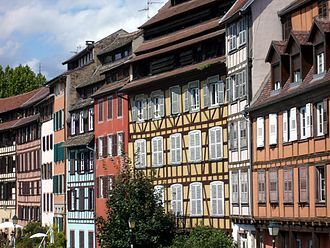 He began to work for the Reformation, with the support of Franz von Sickingen, Bucers efforts to reform the church in Wissembourg resulted in his excommunication from the Roman Catholic Church, and he was forced to flee to Strasbourg. 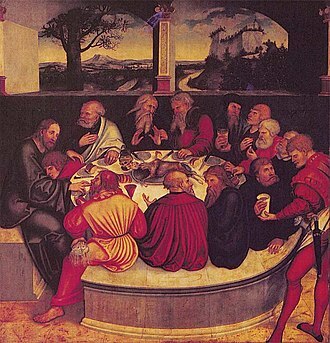 There he joined a team of reformers which included Matthew Zell, Wolfgang Capito and he acted as a mediator between the two leading reformers, Martin Luther and Huldrych Zwingli, who differed on the doctrine of the eucharist. 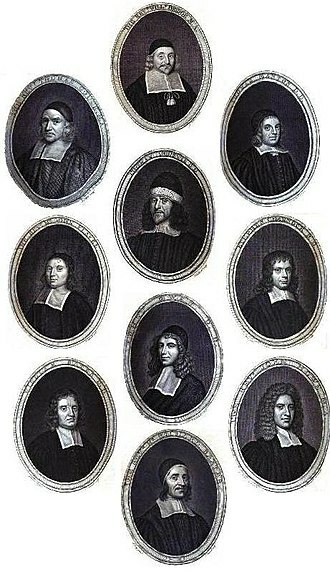 Later, Bucer sought agreement on common articles of such as the Tetrapolitan Confession. Bucer believed that the Catholics in the Holy Roman Empire could be convinced to join the Reformation, through a series of conferences organised by Charles V, he tried to unite Protestants and Catholics to create a German national church separate from Rome. 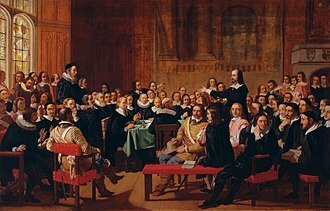 He did not achieve this, as political events led to the Schmalkaldic War, in 1548, Bucer was persuaded, under duress, to sign the Augsburg Interim, which imposed certain forms of Catholic worship. 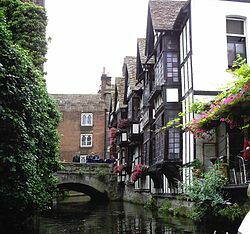 However, he continued to promote reforms until the city of Strasbourg accepted the Interim, in 1549, Bucer was exiled to England, under the guidance of Thomas Cranmer, he was able to influence the second revision of the Book of Common Prayer. 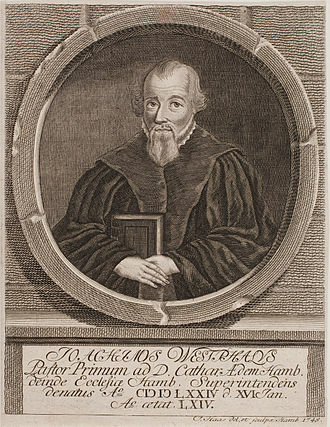 He died in Cambridge, England, at the age of 59, although his ministry did not lead to the formation of a new denomination, many Protestant denominations have claimed him as one of their own. He is remembered as a pioneer of ecumenism. 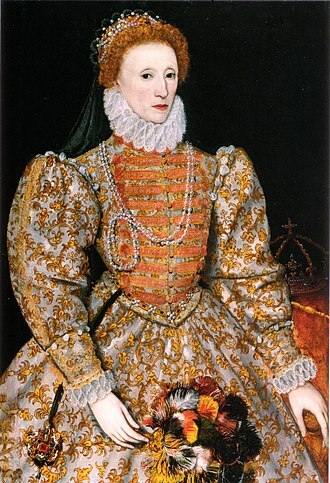 In the 16th century, the Holy Roman Empire was a state in name only. 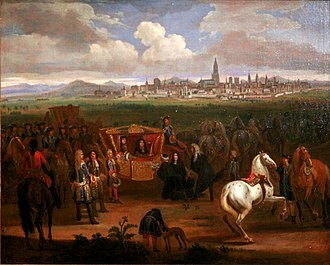 The Empire was divided into many princely and city states that provided a check on the rule of the Holy Roman Emperor. The division of power between the emperor and the states made the Reformation in Germany possible, as individual states defended reformers within their territories. Saint-Etienne cathedral in Metz, prefecture of Moselle.